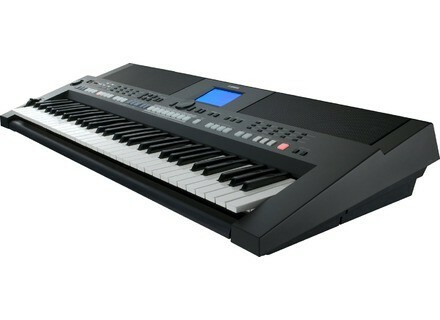 PSR-S650, Keyboard Arranger from Yamaha in the PSR series.
" This is a good keyboard"
This is a keyboard that can be described as an "all-in-one". If you're still studying music or if you're a music teacher, it's a good learning tool. If you're a composer, it has lots of features that help you on the composing process. If you're a band keyboard player, it has the Registration Memory, that stores all kinds of panel configs. If you like to use softsynths and/or software sequencers like SONAR and Cubase, it has a USB to Host port and a "PC Mode" to help. I think it could also have the conventional 5-prong DIN MIDI ports if you'd like to control sound modules, but modules are being outdated anyway.